I love Chai tea…a few years ago I stopped drinking coffee and was really excited when Chai became popular. I love Starbucks Chai, but it is so expensive. I’ve tried some of the store bought alternatives, but they are not as good. I recently ran across a recipe for Chai tea mix from scratch and decided to give it a try. 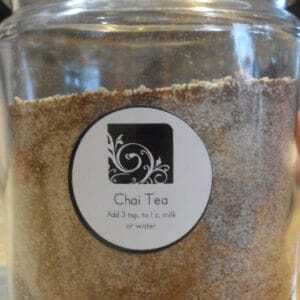 If you search around, it is easy to find recipes for Chai tea. I looked at several different recipes, and noticed that they are not all the same. Some use different spices, or different amounts of spices. Personally, I really like the spicy Chai, so I decided to give this recipe a try. If you don’t have all the spices, then use what you have. If you are looking for an authentic Chai tea, however, don’t leave any of them out. I didn’t have any cardamom so I left it out, but I am going to have to go find some to see what I was missing! You might wonder why the recipe calls for white pepper. I have never tried it before. It is very spicy…it really gives a “kick” to the tea. Mix all ingredients together and store in an air tight container. 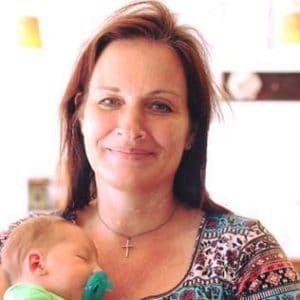 If desired, you can place small batches of the mix into the blender to create more of a powder like consistency, but this step is not necessary. To prepare, add 3 tsp. mix (or to taste) to 1 cup hot water or 1 cup hot milk. I have tried it both with water and milk, and it is just to die for. Seriously, really good! It is of course better with milk, but if you are looking for a lower calorie version, then make it with water instead. 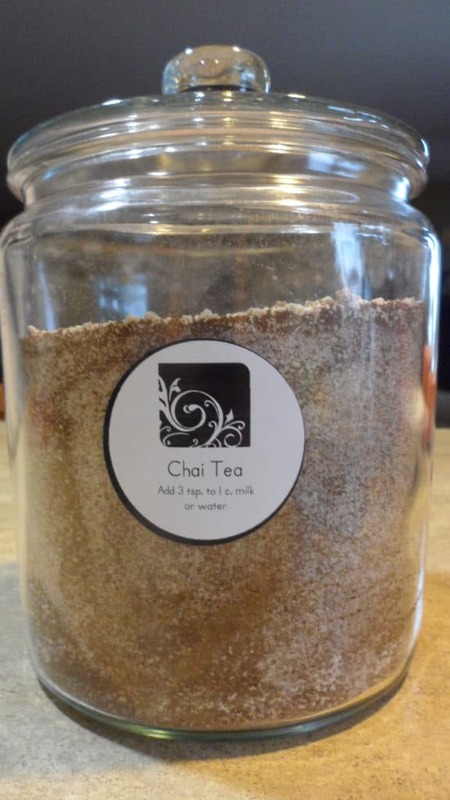 This recipe makes 8 cups of Chai tea mix. Enjoy! It is also a great gift idea, just package into half pint or pint canning jars.